Teen Reads: The Teen Library at Monument Square offers fiction, nonfiction, comics, manga and magazines selected especially for teens (we also have movies and video games!). If you can’t make it to the main library, the Bookmobile and all of our branch locations have special teen collections, too. Prefer to download? 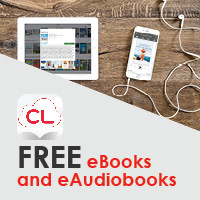 cloudLibrary offers the latest teen eBooks and audiobooks to borrow for free on your device of choice. All you need is your library card. Our Teen staff love teen reads just as much as you do and are here to help you find your next favorite book. You can also browse our carefully curated (and constantly updated) recommendation lists right here on our website. The Teen Library and Pride@PPL are excited to announce the launch of our Teen Pride eReaders! Full of some of the best LGBTQ teen books in recent years, these two devices (a Samsung Galaxy Tab and a Nook GlowLight) can be checked out from the teen desk at the main branch of PPL.